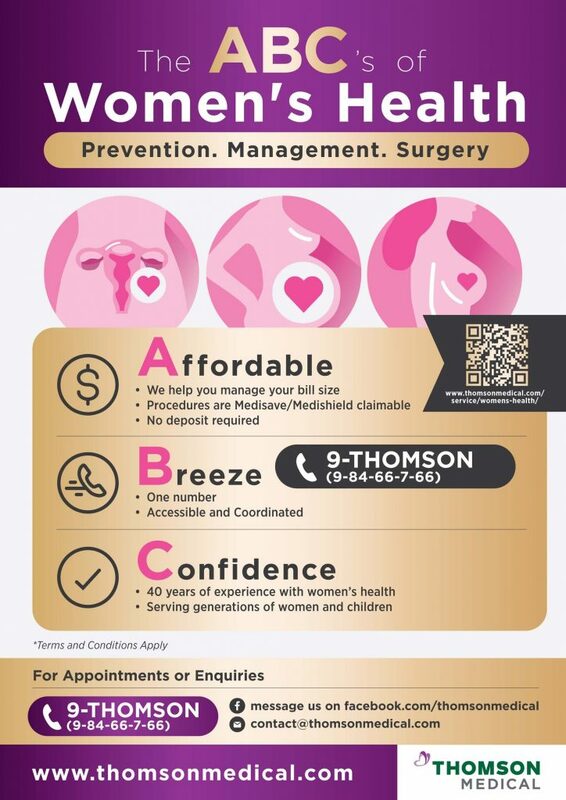 As a leading provider of healthcare services for women, Thomson Medical houses more than 30 experienced and respected Obstetrics and Gynaecology (O&G) specialists and island-wide Thomson Women’s Clinics to meet the healthcare needs of women of all ages. Common gynaecological conditions e.g. uterine fibroids, endometriosis, ovarian cysts, adhesions. We can help. Call us at 9-THOMSON (9-8466766) during office hours or email us at contact@thomsonmedical.com to make an appointment or find out more!